Cypraea friendii dwarf 52 mm. 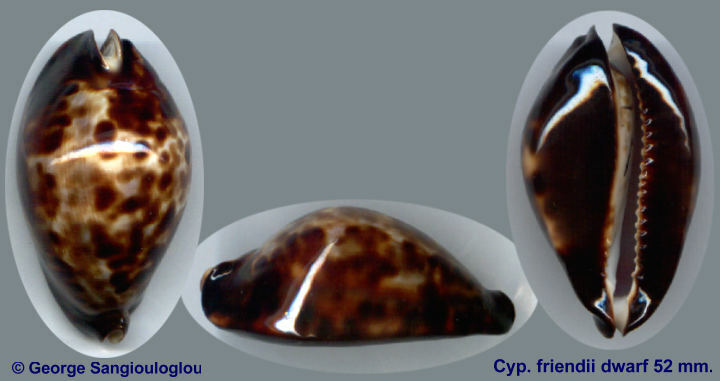 Cypraea friendii dwarf Gem 52 mm. $80.00 Base black, margin brown and black, dorsum gray with brown markings and spots. Dived from 3m off Busselton Australia 1998.